With development of economics & speedy work rhythm, one third of our time was spent in office. To improve the working environment is a basic guarantee of efficient work. Decorating with carpets is a way to beautify the environment and enhance the space. In the recent year, due to their wear resistance, anti static, noise reduction, water proof & stain proof, office carpets have become a popular choice for office buildings. 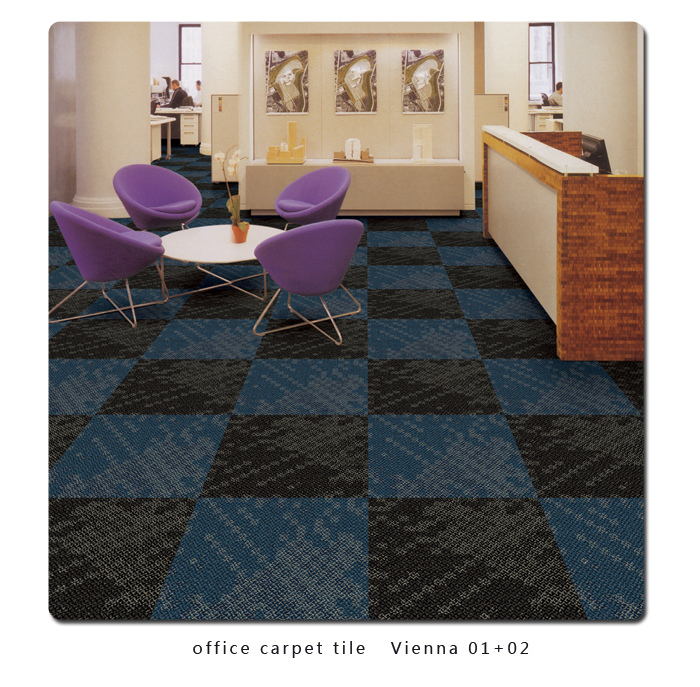 Wall to wall carpets and carpet tiles are the most common ones. Wall to wall carpets are popular because of their reasonable prices & varieties, which can meet different demands from various customers. 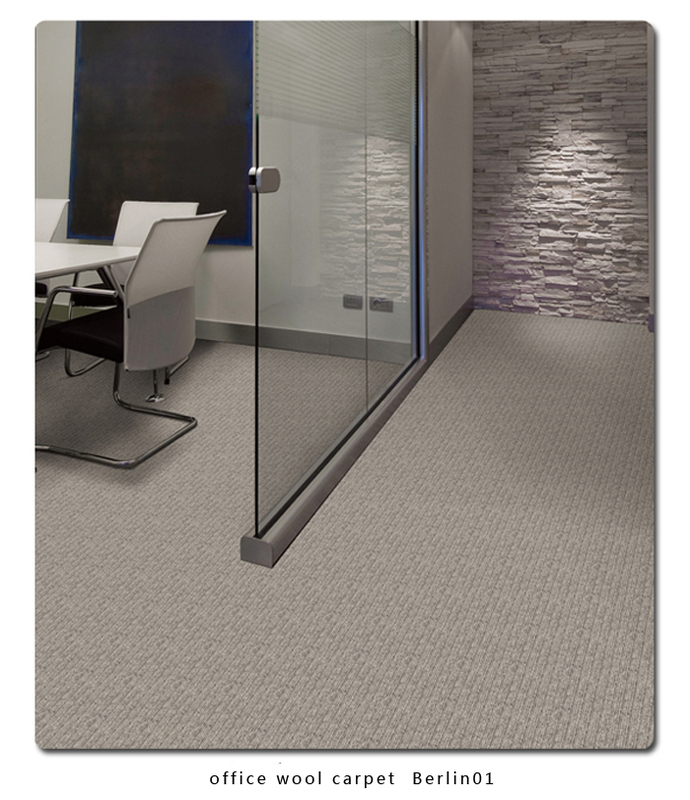 Carpet tiles have more advantages, they can be fitted & changed easily. Office buildings locate in the busiest section, most of which are very tall, the carpet tiles are cut into pieces, that solves the problem of loading & unloading, carrying. What’s more, people moves frequently in the office, the passageway can be polluted easily, there will be stains of tea or coffee, for these partly pollution, the carpet tiles can be changed or wasted by piece. They can also be replaced when partly damaged. There are bitumen, PVC, PU backing etc for the carpet tiles. They work better on noise absorption, anti static than other flooring products. 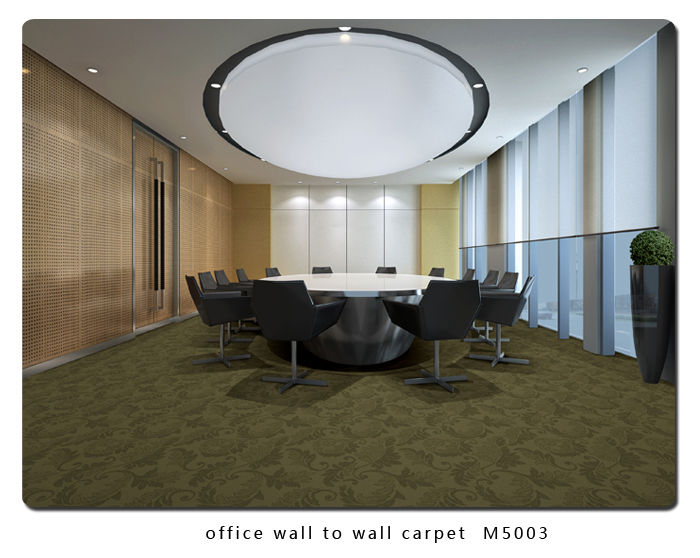 Wuxi Diamond Carpet Manufacturing Co., Ltd.is dedicating to produce premium office carpets from nice raw materials. By cooperating with Honeywell, Invista,Universal, 3M, Solutia, AkzoNobel, Basf etc, Diamond Carpet supplies world class high quality environmental carpets. With 32 years experience of carpet production & 7 years experience of exportation, products from Diamond Carpets are sold to more than 30 countries in the 5 continents, they win warm praise from customers home and abroad. We have professional design teams, can offer plans according to your office , help you to increase the environment there.